I’m so excited to FINALLY show you what I’ve been working on for the past year. I love to quilt, I love to coordinate fabrics, and I love to draw/color so it made sense for me to design these coloring pages because in a way I feel like I can design quilts in my own little way with instant gratification! My first design is called “Quilted Leaves”. 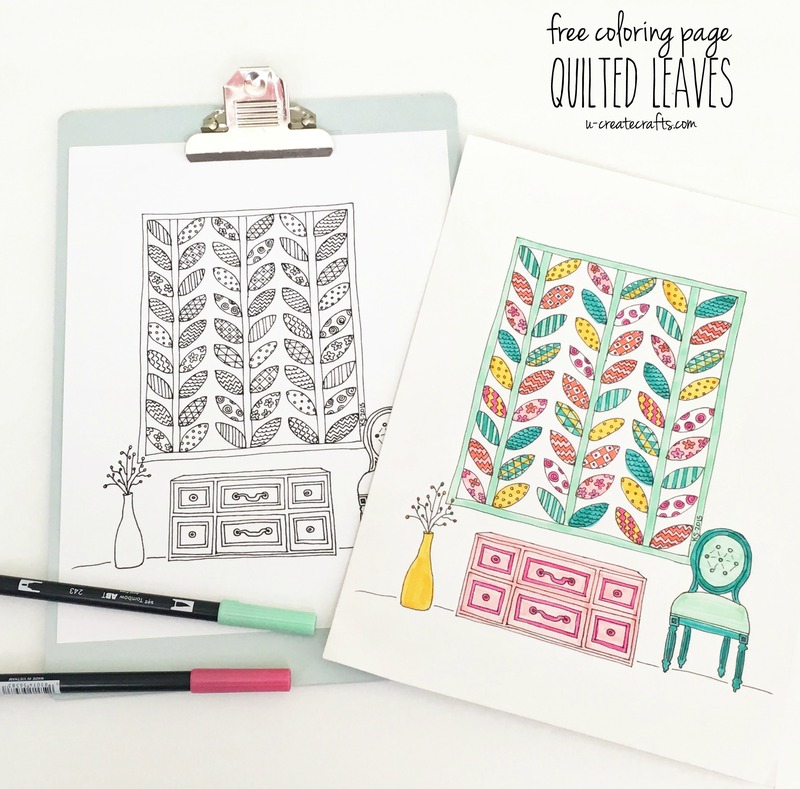 You’ll find tiny designs to play with inside of each leave and I love how this turned out and actually thought it would be fun to turn it into a real-life quilt. Hoping I can find similiar fabrics! I usually use coloring pencils for my adult coloring pages, but for this one I used Tombow markers. Whatever you decide to use make sure you have a variety of colors to work with! 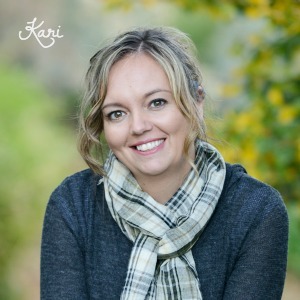 Place in a fun frame to display in your home – mine is going on my office wall. 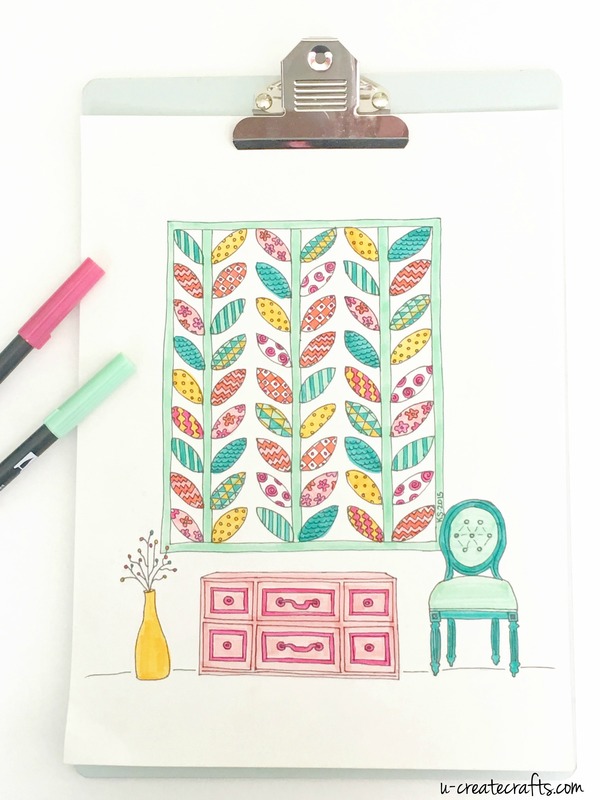 My girls want to color some for their bedrooms, too! 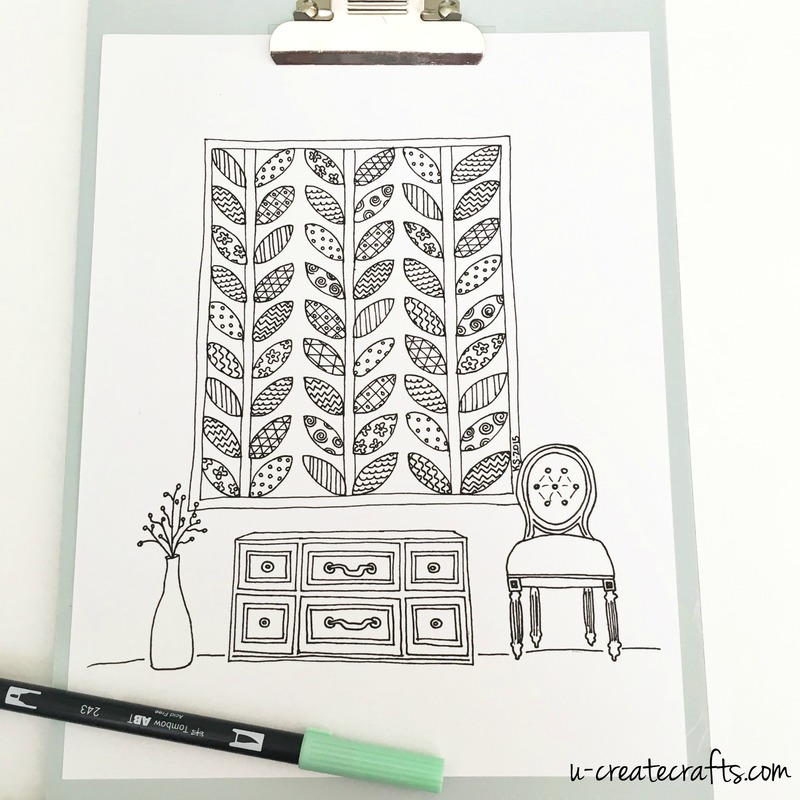 Don’t feel like coloring, but want the printable? I decided to include a colored version just for YOU! Keep your eyes open for more quilt coloring pages coming soon! Thank you so much for your comments. I haven’t seen any quilt coloring pages out there and my favorite part of quilting is actually putting the colors/fabrics together so I was excited to start designing these. Thanks again Gail! Can’t wait to relax and make one! Thanks!